This publication was published by the University of Wisconsin Cooperative Extension in cooperation with the United States Department of Agriculture. It was written by B.R. Smith, professor of horticulture; D.L. Mahr, professor of entomology; P.S. McManus, assistant professor of plant pathology; and T.R. Roper, associate professor of horticulture. All authors are part of the University of Wisconsin system of schools. 1. A very brief description of strawberry plants is presented. The important strawberry anatomy is discussed, as well as the reproduction characteristics of strawberries in general. Also discussed are the three major types of strawberries: June-bearing, everbearing, and day-neutral (see the Strawberry Varieties page for more details). 2. Wisconsin is divided into two agricultural zones: North and South. The recommended strawberry varieties for Wisconsin are listed. The best early season June-bearers are: Annapolis, Crimson King, Earliglow, Lester. The best early midseason June-bearers are: Honeoye, Rariten, Redchief. The best midseason June-bearers are: Cavendish, Glooscap, Kent. The best late midseason June-bearers are: Jewel, Mira, Mesabi, Seneca. The best late season June-bearers are: Lateglow, Sparkle, Winona. The best everbearers are: Fort Laramie, Ogallala, Ozark Beauty. The best day-neutrals are: Fern, Selva, Seascape, Tribute, Tristar. Clicking any of the above linked varieties will take you directly to a list of suppliers offering plants for sale. 3. A sequential review of the planning and processes of cultivating strawberries is outlined. 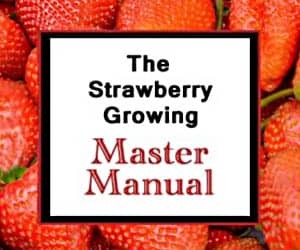 Information on plant source considerations, how many strawberry plants are needed, fertilization, site preparation, plant protection, and a detailed planting guide are provided. 4. The planting guide gives diagrams and details about planting strawberry plants, their layout, and the different strawberry growing systems (see the Growing Strawberries page for more information) are covered. 5. Extensive information related to successfully growing strawberries in Wisconsin is provided. Proper irrigation is reviewed. Cultivation techniques, weed control, and winter mulching are also discussed. Year-by-year care instructions are detailed. These include: blossom removal, fertilization, mulching, weeding, harvesting the fruit, and storing strawberries. 6. The common strawberry pests are reviewed along with they type of damage they will cause, the general time frame damage can be expected to occur, and what can be done to prevent or treat infected plantings. Also covered are the common strawberry plant pathogens and diseases that affect strawberry plants in Wisconsin. If you aren’t from Wisconsin, to find out which strawberry variety would grow well in your area, see here: Recommended Strawberry Varieties by State. See this page for help growing strawberries. Good luck!